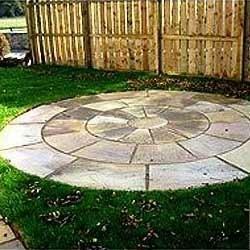 We offer a wide range of high quality Flagstone Circles to our esteemed customers. These products are suitably dressed to form a circle of certain diameter. These products are manufactured using finest quality raw material and latest machinery. 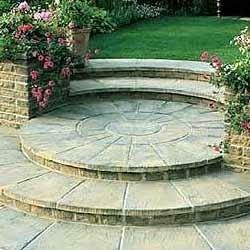 Sandstone and limestone are the usual preference for these flagstone circles. 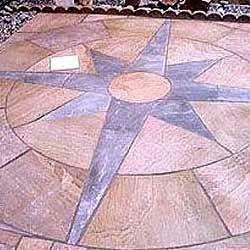 We offer a high quality brown colored Gray Flagstone Circles to our precious customers. These products are sedimentary rock and are composed of calcium carbonate. These products are widely used either natural split or polished finish. These products are available as per the requirement of our clients, in different shape, size, and diameter. These products are available at competitive market price to our customers. Stone Circle Brown is the usual preference for circles in natural split surface finish with hand chiseled edges in thickness of 25mm to 35mm. The available colors in sandstone are Gray, Brown, Pink, Green, Chocolate, Yellow, Red, Beige and Ravina. The available colors in limestone are limited to Blue and Brown. For a square look, corners can also be added to these circles. We offer a Sun Stone Circles in various colors such as pacific green, camel brown, ash black, and desert yellow. 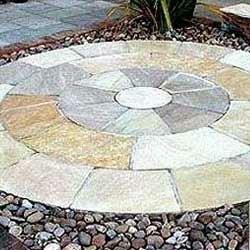 The edges of Flagstone Circles are either hand dress or machine cut as the requirement of our clients. These products are available at reasonable market price to our customers. These products are sedimentary rocks that are composed of calcium carbonate. They are reputed for their purity and are randomly used across various industries. 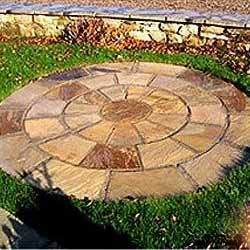 We are among the leading manufacturers and suppliers of high quality Flagstone Circles that are available in mixed shades of colors. These products are fabricated from high quality raw materials that are procured from very reliable vendors. These Flagstone Circles have a fine surface finish. These products are used in floors and walls. These products are easy to install and maintain. These products are stains resistant hence are easy to clean. We offer a wide range of high quality Stone Circles Paving to our customers. These products are easy to work with for desirable shapes, sizes and finishes. These products are available in various colors such as rustic silver, moon shine, fern green, deodorant green, spotted green, mayor, rangoli, and rustic copper. These products are used either natural or honed surface imparts an antique finish. Looking for Flagstone Circles ?